A fan since college, famed menswear designer Michael Bastian not only digs Randolph Engineering for himself, but also for his models on the runway and in his look books. 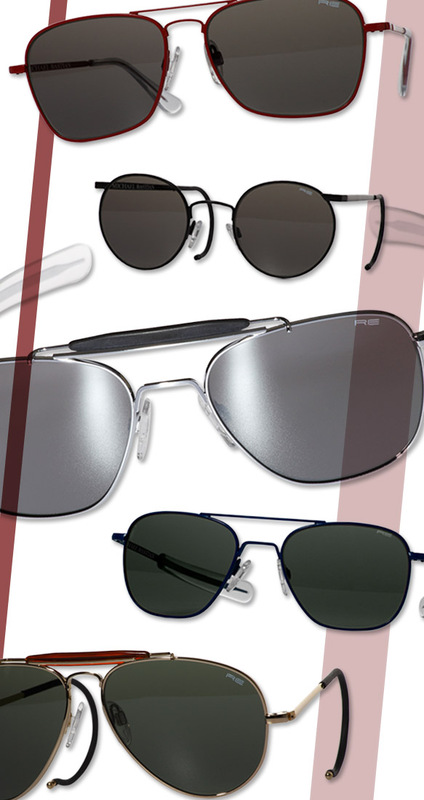 It only makes sense then that Bastian and Randolph Engineering finally joined forces to create the ultimate eyewear collection for men. After working together for months, the two collaborators are ready to unveil their spring Michael Bastian for RE Signature Line. The collection debuts a fresh take on Randolph Engineering’s familiar silhouettes by injecting rugged sophistication, vintage Americana and a dash of color. Bold brow bars, distinctive lines and flash mirror lenses are just some of the details that spruce up Randolph Engineering’s timeless aviators and P3 frames. Scope out Michael Bastian for RE Signature Line shades here so you don’t miss out on this season’s hottest looks.